The Changing Face of Reformed Theology | Theopolis Institute | Bible. Liturgy. Culture. Dr. Richard Gaffin, of Westminster Theological Seminary published his first book, The Centrality of the Resurrection, which would later be renamed and mass published under the title Resurrection and Redemption: A Study in Paul’s Soteriology. It was in this fine exegetical work that Dr. Gaffin unpacked the meaning of the Apostle Paul’s salvation vocabulary. Words like justification, sanctification, adoption, etc. would be understood differently in light his research.1 Dr. Gaffin was building upon historical Reformed theology as well as critiquing it. To do this he was deeply influenced by the work of various theologians across denominational distinctions, and in particular he was shaped by Reformed thinkers such as Herman Ridderbos and John Murray. But in the end, Dr. Gaffin would put together the exegetical conclusions in a way that had never been done before. It was a stroke of genius, and it would alter Reformed theology as we know it. …the notion that the believer has been raised with Christ brings into view all that now characterizes him as a result of having been joined to Christ as resurrected. It means that he has been justified, adopted, sanctified, and glorified with Christ, better, that he has been united with the Christ, who is justified, adopted, sanctified, and glorified, and so by virtue of this (existential) union shares these benefits. He was right. It would be impossible to overestimate. As far as Reformed theology was concerned, there was no going back now. What Dr. Gaffin said in this statement above (and in the book as a whole) would re-orient many common assumptions in Reformed theology when it came to explaining salvation. The implications of this work would affect not only debates over salvation language, but also have significant ramifications on Reformed views of eschatology, sacraments, and ecclesiology. In other words, it would impact everything. Because of the implications and reverberating effects of his initial work, Dr. Gaffin would later—30 years later—publish By Faith, Not By Sight in an attempt to clarify or rephrase some of the conclusions in Resurrection and Redemption. However, the critics of this newer work took it to be more of a recantation or at least a “toning down” of his former research. In this newer work, he appears to revert back or at least hold onto the traditional Reformed theology that was exegetically dismantled in Resurrection and Redemption. The critics saw it as an attempt to have it both ways: keep the old Reformed system despite the exegetical shortcomings. As a result, a debate over the “Old Gaffin” verses the “New Gaffin” would be discussed among seminarians, pastors, and scholars alike. Both admirers and critics had strong opinions. But the change had already begun. The conclusions of Resurrection and Redemption were out. The conclusions were clear, and they cut clean through some 400 years of Reformed theological assumptions. This is one reason why Reformed theology has always struggled to “fit” the sacraments into any meaningful place in its systematic theology. If the golden chain of salvation can’t break, then it’s difficult to see how baptism is really all that important or why the Lord’s Supper is necessary.4 While Reformed theology held to the Lord’s Supper as a “means of grace” it was rare to find a Reformed church practice weekly communion or place it on par with preaching. The sacraments were aids to faith–crutches if you will–but not really necessary in the life and practice of Reformed churches considering the logical consequences of the “golden chain.” If you focus on the linear progression of the ordo salutis, the unbreakable chain of salvation, starting with predestination and ending with glorification then, the sacraments have little need in such a theological system, logically and practically speaking. There’s a long history in Reformed theology explaining salvation in this manner. A Golden Chain written in 1597 by William Perkins, along with his famous, elaborate chart5, explains this linear progression from the eternal decree of God to the determined end of both elect and non-elect individuals. Over the years, as Reformed theology was honed and developed in unpacking this chain of salvation, it developed into full systems of thought. Reformed Systematic Theology was born. Massive systems of thought were written and debated in order to systemize all of theology, and give the proper ordering and explanation of salvation. Debates over ordering the decrees of God were important because they determined the order of salvation for the individual. Even in the historic debate between Calvinism and Arminianism, the debate over properly placing of the word “regeneration” in the ordo salutis was important. Arminianism conceived of regeneration as man’s cooperation with God’s grace. In order for Calvinists to maintain the priority of God’s initiative and choice in salvation, Calvinists taught that the Holy Spirit regenerated (or quickened) an individual to receive the grace of God, and was justified only after regeneration. Regeneration had to come before justification, and be distinct from it, in this linear order of salvation according to the Calvinist. The Reformed explanation of the ordo salutis was thought to be an unpacking of what was taught in Scripture. After all, it attempted to follow the Apostle Paul’s logic: For those whom he foreknew he also predestined to be conformed to the image of his Son, in order that he might be the firstborn among many brothers. And those whom he predestined he also called, and those whom he called he also justified, and those whom he justified he also glorified (Romans 8:29-30 ESV). Dr. Gaffin noticed, in the Apostle Paul’s language, a person is engrafted into union with the resurrected Christ. As a result of this union, one is justified, adopted, sanctified, glorified–and all the other benefits of this union—at the moment one has faith in Christ. But Dr. Gaffin also saw that there are future aspects to the benefits of salvation as well, “…for Paul the justification, adoption, sanctification, and glorification of the believer are future as well as present.”11 In Paul’s usage, salvation language is not nicely sequential–flowing from one benefit or distinct act to another such as justification leading to sanctification—as if they are in some golden chain. To use an analogy, salvation is like a diamond held up to the sunlight.12 As the light is refracted through the diamond various colors or benefits are seen. All the beauty, different colors, and the glory of the diamond are seen as the diamond is turned in the sunlight. The diamond is union with Christ. All the different colors that are refracted from the diamond are the benefits that are seen depending upon the angle you view the diamond. View the diamond from one angle you see the “color” of justification. From another angle you see adoption, etc. All of these colors–or benefits of salvation–are not logical steps of progression following one another. They are descriptive benefits (i.e. colors) of the diamond—union with Christ. When Dr. Gaffin published his original conclusions, and the implications slowly spread, some in the Reformed world began to raise other questions: What happens to the house now that the foundation is cracked? How do we rebuild the ordo salutis–or at least reconstruct it–in light of better biblical exegesis? With Dr. Gaffin’s conclusions, it’s as if several hundred years of constructing and ordering the logical sequence of salvation in Reformed theology now needed an overhaul—a reconstruction. Sure, as the debates would unfold, attempts to keep the traditional ordo salutis as a priority would be voiced loudly. After all, this is what the “New Gaffin” was all about in his By Faith, Not By Sight. Keep the order, keep the system, despite the conclusions. But the questions and reverberating effects kept on coming. If union with Christ is primary in Paul’s thought, then where does the word “imputation” fit into this view? After all, to be in union means that all of the benefits are given to us by virtue of our union with Christ. Righteousness is not a substance that is transferred between two separate persons. The two persons become one in union. A person is transferred—from the first Adam to the last Adam—not a storehouse of righteousness. A person is reckoned as righteous (i.e. imputed) because he is now in union with Christ. Is the word “imputation” even necessary or does union with Christ open ecumenical possibilities that provide a better foundation for getting past “imputation” vs. “infusion” of righteousness in the historical debate between Catholics and Protestants? Can Protestants and Catholics come together based upon a union with Christ understanding? Conservative Reformed denominations started reacting to the changes. Anxiety was spreading. Will they lose the gospel if the Protestant language was rephrased? In 2006, in an attempt to keep the tradition, the Orthodox Presbyterian Church (OPC), hastily put together a report that distorted varying views and research in order to protect their traditional Reformed theology. It was their version of “keep the order, keep the system, despite the conclusions.” These kinds of reports would be published by other conservative Reformed denominations in an attempt to win the masses, but the mistakes were evident. But regardless of which side was taken, it was clear that Dr. Gaffin’s conclusions in Resurrection and Redemption couldn’t be ignored. But if soteriology is eschatology, then doesn’t soteriology also include the restoration and renewal of personal relationships in a new community? If that’s the case, then isn’t soteriology also ecclesiology? This conclusion, in particular, the “New Gaffin” in his By Faith would attempt to avoid in order distance himself from the sacramental and ecclesiological implications.17 While many scholars and theologians were coming to this particular conclusion, Dr. Gaffin was distancing himself away from the conclusion that soteriology is ecclesiology. But despite his attempts to ward off the conclusions, there were clear biblical arguments that couldn’t be avoided by many. Baptism engrafts into Jesus Christ. As Dr. Gaffin had originally said, “…if ‘washing’ on which ‘regeneration’ is directly dependent in Titus 3:5, refers to baptism, then what Romans 6:3ff…teaches concerning baptism as a sign and seal of incorporation with the resurrected Christ, and so the implications of that incorporation, will have to be brought to bear here.”18 The implications were clear to many: All the benefits of salvation are given in baptism because baptism engrafts into Christ. Soteriology didn’t simply have “implications” on ecclesiology; it is ecclesiology. To be baptized into the Christian church is to be baptized into Jesus Christ. Historically, Reformed theology had a significant amount of ambiguity over what baptism accomplished.19 If it justified the child then, the child would be in the “golden chain” and couldn’t fall away. Yet, the fact remained that many who are baptized did (and still do) fall away. Many Reformed theologians either held to a “presumptive regeneration” of the baptized child or would deny a “regenerative” baptism altogether. Baptism didn’t fit nicely in an order of salvation chain in Reformed theology. Now that baptism was understood to bring one into union with Christ, it meant the person baptized had all the benefits of Christ as long as he abided and remained in that union.20 If children are baptized, then these children are in union with Christ. The baptized body—adult and child alike—was now considered one body in one Christ. No longer was the Reformed church a perpetual division of full members in Christ and only partial members (i.e. children) or strangers waiting for justification. It was one baptism into one body into one Christ. Reformed theology had built a system of theology—much of it very good—but it was in need of an overhaul considering its theological definitions had left their Biblical definitions. It had developed a piety with a tendency to pride itself on its finer distinctions and its ability to distinguish itself from the broader Christian tradition. But with union with Christ now at the center, Reformed theology began to look surprising similar to the various other strands of historic Christianity. It’s distinctions began to “bleed” into other Christian traditions as well as borrow from those traditions. 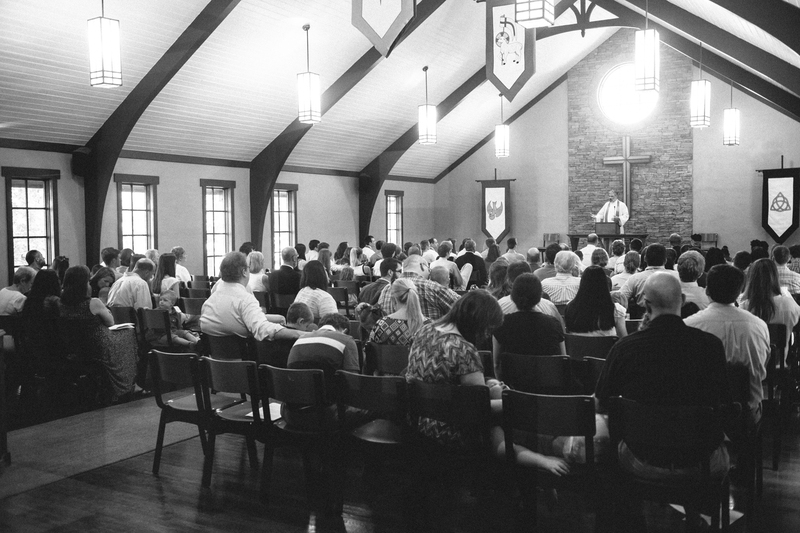 Lutherans, of all people, didn’t look so…Lutheran anymore. They started to resemble long lost brothers—brothers whose baptismal emphasis was now a welcome contribution. Baptism now “fit” into salvation and the Lord’s Supper—the other means of grace—could now be seen as means of maintaining that union. The Supper was now a real “means of grace”21 instead of it simply being an “appendix” to the chain of salvation. In other words, centering salvation upon union with the resurrected Christ not only affected the order of salvation, but also it had a direct impact upon the nature of the church in Reformed theology. It changed ecclesiology. And speaking of the Lord’s Supper and changes in ecclesiology, Reformed churches have historically not included children at the Lord’s Supper because they couldn’t say for certain if the children were justified in Christ. But if justification is a benefit of union with Christ and baptism is a means by which one is engrafted into Christ, then the child is justified by virtue of baptism because baptism engrafts into union with Christ. To be in Christ is to have all his benefits. Should children then be at the Lord’s Supper since they have all the benefits of union with Christ? Wouldn’t the Supper be a means by which the child’s faith would increase and grow? The implications were clear: paedocommunion. Like it or not, Reformed theology has changed and is changing by centering all soteriology on the resurrected, justified, and exalted Christ. When the Son of Man is lifted up, he changes all things—even Reformed theology. Welcome to the changing face of Reformed theology, and along with it, a changing Reformed piety—and that’s a good thing. Rev. Mani Marprelate is a pen name of a Reformed pastor in the USA. 1. ↑ There are definitely other changes in theology at this time that facilitate the changes described in this article. For example, the debates over the covenant and justification in Norman Shepherd’s theology, the rise of Christian Reconstruction and the New Perspective, and other debates. However, must not be overlooked is the biblical and exegetical foundation necessary to formulate new questions and conclusions. Dr. Gaffin’s work did this in a way that no other theologian in Reformed theology did during this time. Since his work is often overlooked in connection to the changes, my paper focuses primarily upon his influence in changing how we view salvation terminology and the ramifications affecting Reformed theology. 4. ↑ I explained this in detail in two previous articles (Baptism Impasse, Part 1: https://theopolisinstitute.com/baptism-impasse-baptists-vs-presbyterians/ and Part Part 2: https://theopolisinstitute.com/baptism-impasse-baptists-vs-presbyterians-part-ii/ ) the development and loss of sacramental theology in Reformed churches. 12. ↑ This analogy of the diamond is not used by Dr. Gaffin. It is mine, and as an analogy, it is does risk limitations or distortions of expressing Dr. Gaffin’s words as well as the Apostle Paul’s. 13. ↑ Gaffin does not discuss Hebrews since his study focuses upon Paul. In mentioning Hebrews, I am not assuming Paul wrote it. I am only pointing out that it is interesting that the word justification is not used at all. 19. ↑ See endnote #4 for more details. 20. ↑ If one has all the benefits of union with Christ, then how should we view apostasy since some are baptized and converted and fall away? What about the doctrine of the perseverance of the saints? If they were in some way engrafted in the vine of Christ, did they have all of Christ since union with Christ has all his benefits? Dr. Peter Leithart’s book The Baptized Body attempts to answer these specific questions in detail.